TJ Formal Dress Blog: BIG NEWS!! We're Spreading the Love! If you are in the area, be sure to stop by and see us in our new Charleston store! 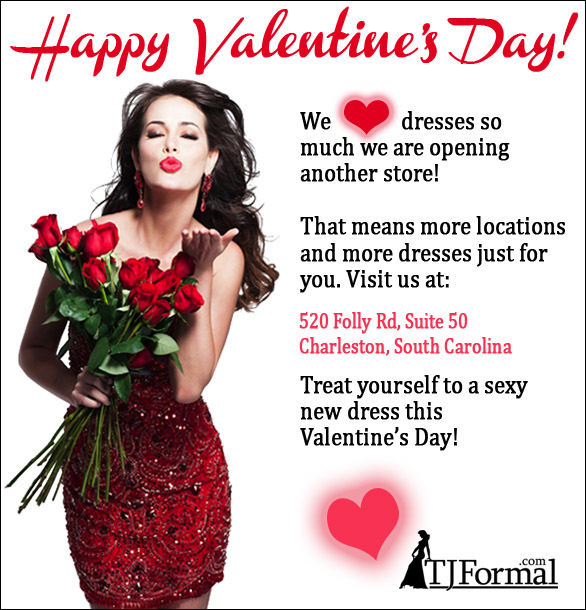 Like our TJ Formal - Charleston FB page to keep up on the latest news!